You should be visiting a dentist once every six months, but if your gums regularly bleed, you may need a dental exam even more often to keep in under control. There are some steps you can take to reduce the amount of bleeding on your own time. You should gently brush your teeth twice a day or after every meal. You can also use a mouthwash, but make sure it does not contain any alcohol. You should also floss your teeth twice a day to remove bacteria caught between the teeth and gums. If you use tobacco products, our dentist will suggest quitting since this can aggravate the gums. If the bleeding is the result of a vitamin deficiency, you should take vitamin supplements. If the irritation is the result of a medication you are currently taking, ask your doctor to prescribe a different drug. 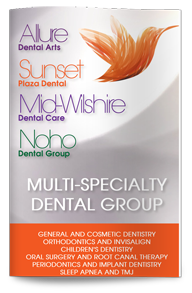 Every patient is different, so talk to your dentist about the best option for you.